Full marks to this episode; each song is very different and gracing perfection in its own way. I can’t believe the 4th episode is out already, and I can finally sense the season coming to full bloom with all its glory. Somehow the healthy competition between the music directors is working wonderfully for this season. Bringing in great diversity of genres, instruments and musicians – the composers have made sure this season stands out. The competition is not just among the peers, but also the umpteen good quality composers who didn’t make the cut this time and are waiting for their call next season. It’s great to see the market-forces at work here, ultimately benefiting the primary stakeholders – the audience. This episode has Punjabi written all over it. All four tracks have a strong Punjabi influence in terms of lyrics and arrangement and yet each is unique in its own way. 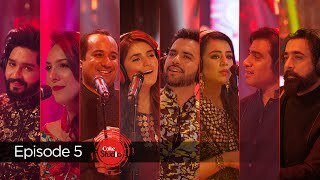 If you thought that the 9th season of Coke Studio only gave you Momina Mustehsan, then you are mistaken. Mohsin Abbas Hyder, a yet another Coke Studio debutant, has gone on to hit a first-ball sixer as well with Uddi Ja – a song that he wrote, sang and also composed himself. Like Ali Sethi, he too seems to be a recently turned singer and has dabbled a lot in his career. He has been an RJ, DJ, lyricist and also an actor. For someone who learnt singing recently, hitting notes of this beautiful melody on raag yaman with so much soul and command is brilliant. His technical mastery also comes with an interesting softness just at the right instances of the melody which is very pleasing to the ears. Speaking of composition, Jaffer Zaidi is on a roll. First, Jaane Na Tu then Man Kunto Maula and now this. 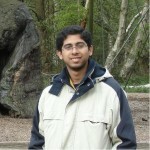 Jaffer has spanned different genres with perfection and creativity. The song starts as a soft Punjabi number primarily on a guitar background, gradually introducing light strings then bass and before you know it, in comes the dholak, harmonium and the qawwals – hijacking what was a soft number to a qawwali arrangement. This alternating arrangement continues till the climax with a beautiful cameo in between by Sajaad Ali with his flute. The second half of the song sees the hamnawabs singing the chorus while Mohsin improvises by hitting some beautiful off notes. The chorus is in raag yaman while the main melody has elements of khamaj with use of ‘komal ni’. Though melodically different, they fuse beautifully to give a good overall feel ably aided by the arrangement. The song ends with the flute and a unique softness amidst fading instruments. There are places where you just go wow listening to Mohsin’s singing. Mohsin exhibits great control over his voice. The moment he starts (0:20), you feel a pleasing softness in his tone that makes the divine connection. While being soft, he also has a great throw in portions where the pitch is high and notes are crisp and immaculate. At 0:34 and also at the ending portion, he actually contrasts with the main melody with off notes. Mind you that’s not easy. Overall a track that welcomes the weekend on a divine note and perhaps you’ll be hooked on to this one for quite some time. I had been looking forward to Shilpa Rao’s performance the moment I got to know that she would be India’s first export to this amazing platform. Finally the wait is over and the end product has come out so beautifully. Noori have been very consistent and creative with their tracks this season. This one is apparently a family treasure passed on from their forefathers and Noori chose just the right platform to showcase this in a beautiful way. The track has ‘Mitti di khushboo’ (scent of the soil) written all over it with the rustic music and Punjabi lyrics. It is actually based on a tragic love story of Sohni Mahiwal. Ali Hamza naturally has a beautiful vocal texture and great expertise of the lower octaves. It goes very well with the earthy mood and arrangement setting the stage for Shilpa to follow. Shilpa turned out to be the ideal choice for this composition. Her voice is very soulful and soothing. While being extremely sound technically, she doesn’t sound loud or extravagant – hence was suitable for this song. She seemed to have gelled in with the music fairly well. The antara where she sings solo is wonderful. She begins with the alaap on the lower scale hitting all notes perfectly. And with literally no pause, she shifts onto the next octave with ease and command. Overall, it was a very crisp and flawless performance from her, marking her entry into Coke Studio in bold letters. She also seemed to enjoy performing with Noori the band. On the other hand, with Ali Noor singing, it feels like Noori of the olden days is back. Ali Noor has a great ability to sound like a rock singer with his sky high notes; he also has the ability to vary his notes like any classical vocalist. I loved the part (9:00) when the music goes mute with just the acoustic guitar and Ali Noor’s vocals. In the end, the Rao-Noor duo does an interesting jugal-bandi of sorts with Noor continuing his part, while Shilpa enters displaying her classical prowess singing some mesmerising harkats. The arrangement of this track has everything one can ask for. It begins with a proper folk arrangement with instruments like the banjo, dholak and the matka (pot). The initial melody on the banjo goes with the mood of the song as one feels teleported to a typical rural household. Hamza’s vocals take this feel forward. Then comes the beautiful introduction of sagar veena by Noor Zehra, mother of the Noori brothers and one can’t help but just close eyes and appreciate the masterly artwork which adds a beautiful dimension to this already rich arrangement. Ali Noor also gets a guitar solo which is executed very well and precedes Shilpa’s verse. Strings section kick in with Shilpa’s vocals playing a parallel melody, complementing her vocals. The strings become quite prominent from here till the end, giving an awesome structure to the composition especially when the track enters its crescendo. The melody is primarily on the C-major scale, but at places especially in the chorus – does slip over to the sharper ‘Ma’ note, giving it a stunning twist. Overall a track that deserves multiple hearings, as one shot at this won’t be enough to understand all the layers and nuances. If you like energetic Punjabi wedding songs, you would love this number. From the soulful rendition of Aaqa, Shuja Haider experiments with a diametrically opposite genre here. He has been very creative in retaining the original feel, but at the same time, adding some electronic sounds to keep it modern. The choice of vocalists is spot on, with both Naeem Abbas Rufi and Meesha Shafi doing justice with their powerful vocals suitable for the song. The arrangement is as grand and lively as a typical big-fat Punjabi wedding. The various instruments come together to give the overall feel. Shuja also uses synth to create the pseudo-brass section that fills the air giving the band-bajay-wala feel along with the dhol of course. The drum work and bass line is perfectly done. I loved the brief section at 3:35 when instruments go silent for a while with guitars, dholak and harmonium progressively coming in, before the arrangement gets back to the original grandeur. The backing vocalists do a great job, by not just joining the main vocalists but also reflecting that festive mood of a wedding. A great composition and I am sure you would demand this one to be played in the next wedding you attend. Listening to Ala Baali is like taking a multicultural-flight (if that ever existed) from Dubai to Punjab as you experience a cocktail of cultures together – Arabic, Urdu and Punjabi. Like always, Coke Studio gets that delicate balance just right while coming up with these fusion numbers. Shiraz Uppal brings in a range of instruments to create this multicultural musical. The song is based heavily on the bass-line and the percussions played right at the beginning. Remember Rahman’s Zariya in Coke Studio @ MTV? Strings section again is creatively used throughout the song, bringing the Arabic feel (especially the interlude at 1:35). The banjo and flute are smartly used at interludes. Also, the effect of working closely with A R Rahman shows on Shiraz Uppal as he uses Rahman’s favourite instrument, fingerboard in one of the interludes at 3:00. Both vocalists do a great job holding the song together while hopping between the multilingual lyrics. Nirmal Roy comes with a beautiful voice, giving a contemporary, playback ready feel. She starts with the energetic Arabic part and later goes onto the soulful Punjabi portions on the lower notes. Overall she holds onto notes quite well and I am sure we’ll see more of this 20-year-old in the days to come. Coming to the male vocalist, Jabbar Abbas, I bet if you listen to this track without watching the video, you too would mistake him for Sukhwinder Singh. There’s an incredible similarity in the voice quality and singing styles. Abbas brings the Punjabi elements beautifully with his singing. The backing vocalists again do a great job supporting the main vocalists. It is overall an infectious composition that would keep your feet tapping and head banging for some time. I give full marks to this episode; each song is very different and gracing perfection in its own way. It’s wonderful to be welcomed with such a musical delicacy on a Friday ensuring that your weekend is sorted.